White shelf unit with 5 shelves and one large working drawer. 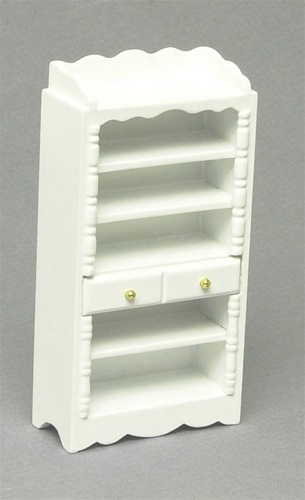 Could fit in most any room of your miniature doll house scene. White with brass painted knobs.